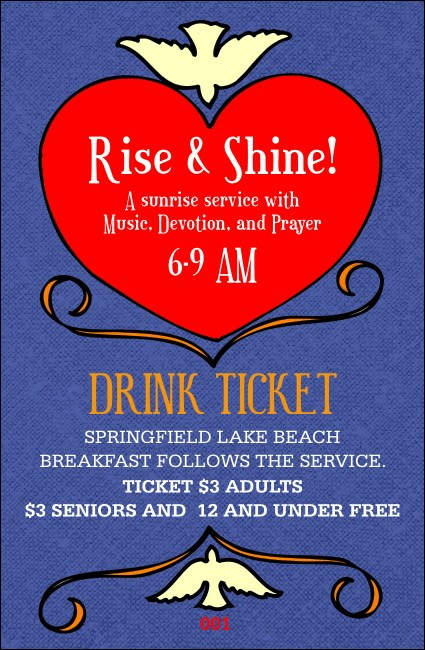 Help your guests enjoy themselves to the highest degree while they meditate on the Holy Spirit with Big Heart Purple Drink Tickets for your next event. These colorful tickets feature a brilliant red heart with two peace doves and nine lines of text on a beautiful, purple background. Celebrate and rejoice with TicketPrinting.com.